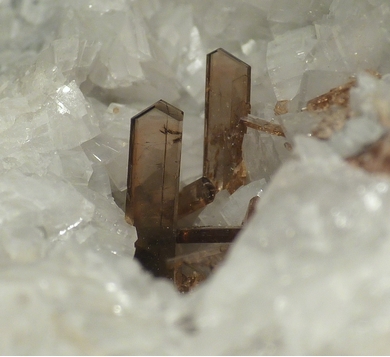 Dissakisite-(Ce): Mineral information, data and localities. 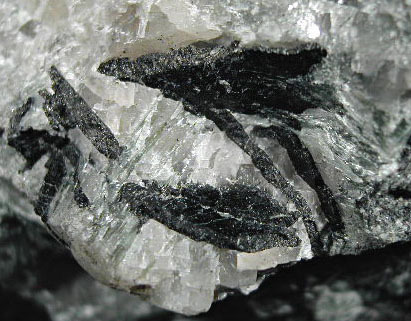 Named in 1991 by Edward S. Grew, Eric J. Essene, Donald R. Peacor, Shu-Chun Su, and Masao Asami from the Greek for twice over, for a second magnesium analog of allanite being described. 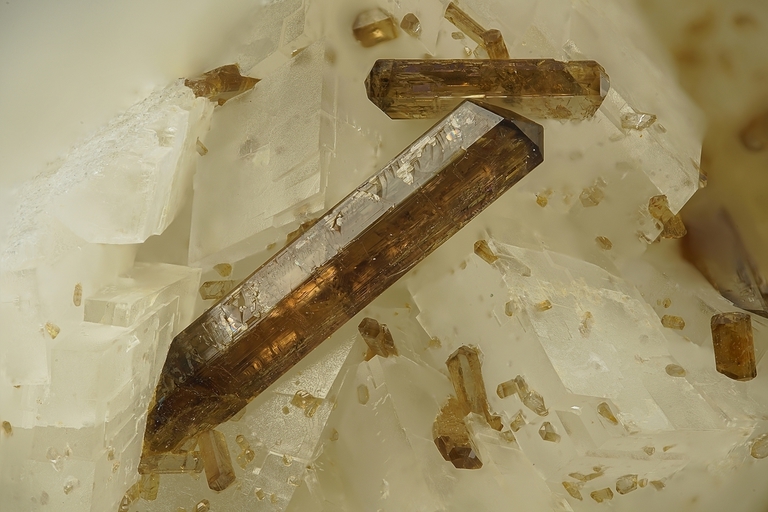 Chemically related to dollaseite-(Ce), gatelite-(Ce), manaevite-(Ce), västmanlandite-(Ce), and somewhat to khristovite-(Ce). Dolomite 2 photos of Dissakisite-(Ce) associated with Dolomite on mindat.org. Grew, E.S., Essene, E.J., Peacor, D.R., Su, Shu-Chun, and Asami, M. (1991): Dissakisite-(Ce), a new member of the epidote group and the Mg analogue of allanite-(Ce), from Antarctica. American Mineralogist: 76: 1990-1997. Rouse, R. C. and Peacor, D. R. (1993): The crystal structure of dissakisite-(Ce), the Mg analogue of allanite-(Ce). Canadian Mineralogist 31, 153-157. Jian-Jun Yang, and Masaki Enami (2003): Chromian dissakisite-(Ce) in a garnet lherzolite from the Chinese Su-Lu UHP metamorphic terrane: Implications for Cr incorporation in epidote-group minerals and recycling of REE into the Earth’s mantle. American Mineralogist, 88, 604–610. Hoshino, M., Kimata, M., Nishida, N., Shimizu, M. (2008): Crystal chemical significance of chemical zoning in dissakisite-(Ce). Phys. Chem. Minerals 35, 59-70. Hoshino, M., Kimata, M., Nishida, N., Shimizu, M. (2010): Dissakisite-(Ce) chemical composition: some implications for its origin. Phys. Chem. Minerals 37, 255-263. Hoshino, M., Kimata, M., Nishida, N., Shimizu, M. (2008): Crystal chemical significance of chemical zoning in dissakisite-(Ce). Phys. Chem. Minerals 35, 59-70.; Hoshino, M., Kimata, M., Nishida, N., Shimizu, M. (2010): Dissakisite-(Ce) chemical composition: some implications for its origin. Phys. Chem. Minerals 37, 255-263.